Download "CalMod Design-Build Electrification Services"
FIRE ALARM SYSTEM. A. 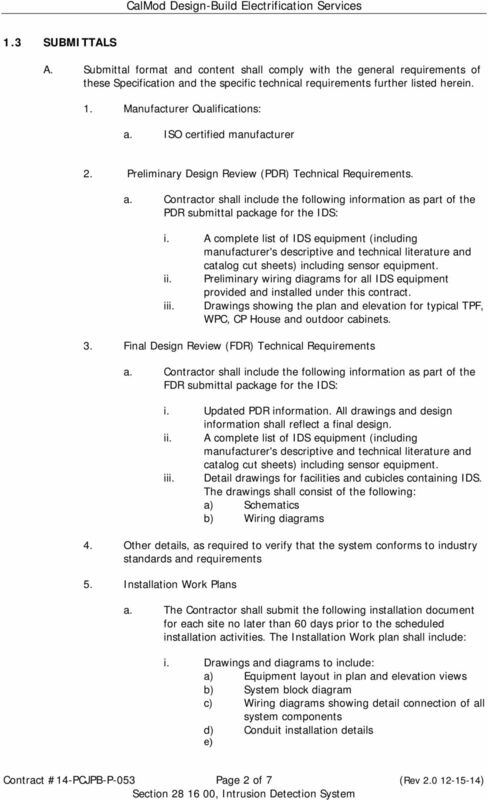 Shop drawings shall be submitted as follows: 1. Manufacturer's published literature. for aspproval. 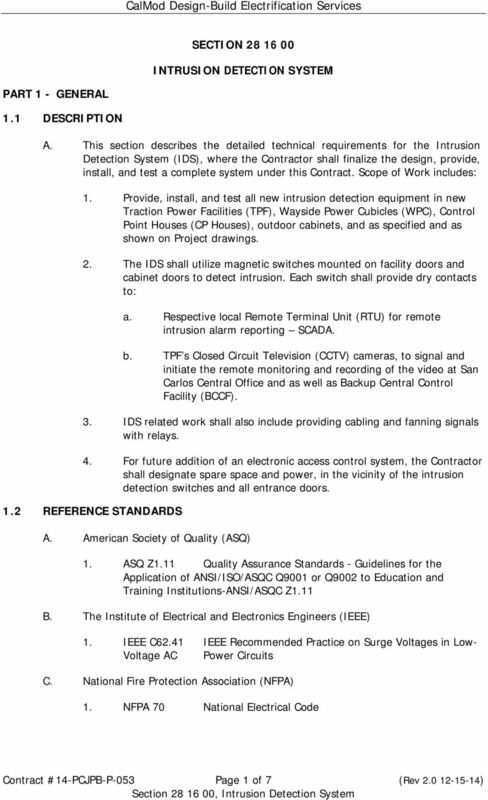 SECTION 17400 ACCESS CONTROL SYSTEM. CONDITIONS OF THE CONTRACT AND DIVISION 1, as applicable, apply to this Section. A. Provide an extension to an existing DDC control system. 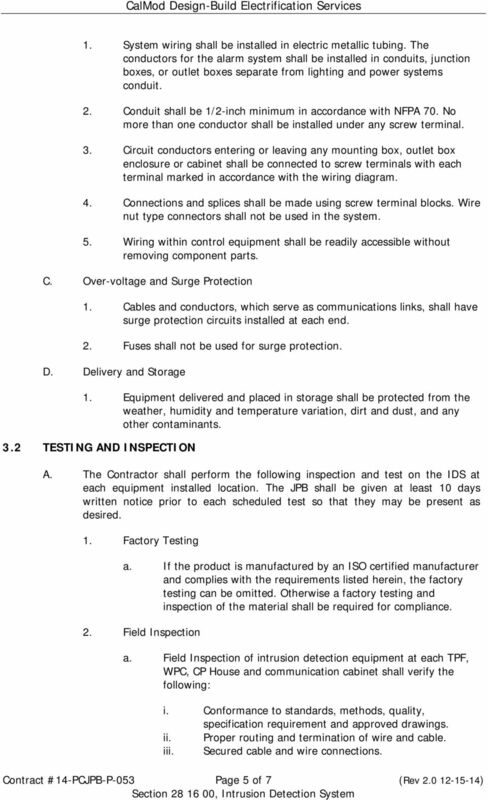 The extension shall be Apogee product installed by Siemens Industry, Inc.
A. Provide a complete and fully operation Access Control system fully integrated to the campus Lenel system. C. Conform to requirements of Americans with Disabilities Act (ADA). SECTION 271525 OPTICAL FIBER CABLES AND ACCESSORIES. A. Interior Raceways, Fittings, and Accessories: Section 260532. D. Infrared scanning reports with pictures printed in a final report with any deficiencies and actions taken to rectify. 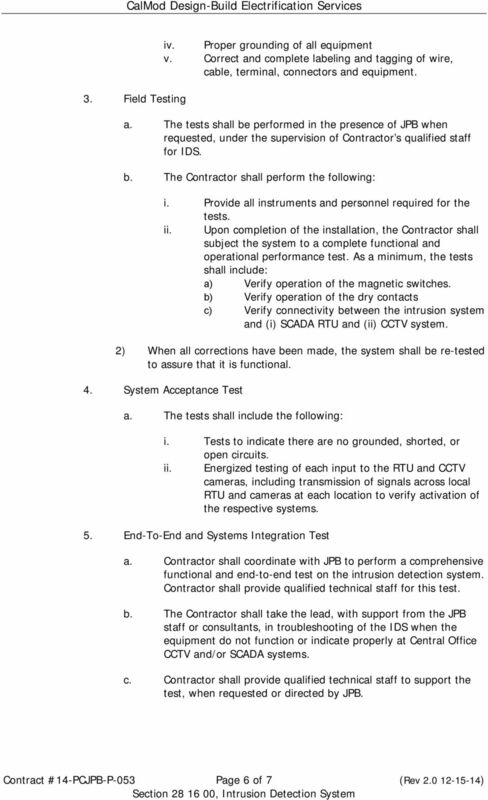 SECTION 263354 STATIC UPS TESTING AND COMMISSIONING PART 1 - GENERAL 1.1 SUMMARY A. Section Includes 1. System start-up services. 2. Battery charging. 3. Load bank testing. 4. Battery load testing. 5. 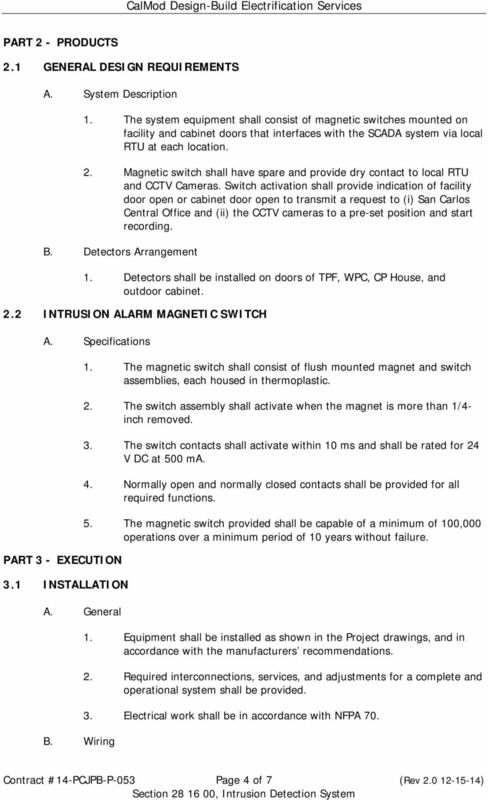 READ THIS MANUAL BEFORE PROCEEDING WITH THE INSTALLATION. FAILURE TO FOLLOW THE INSTALLATION INSTRUCTIONS MAY VOID YOUR WARRANTY! A. 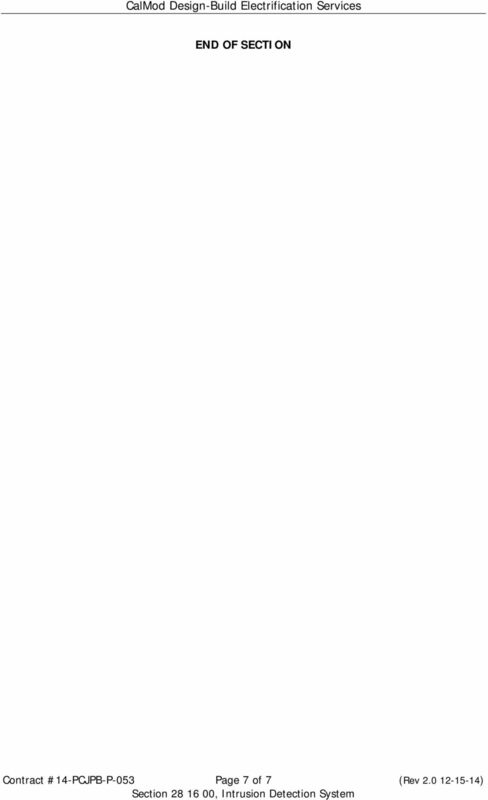 This Section includes ac, enclosed controllers rated 600 V and less, of the following types: 1. Across-the-line, manual and magnetic controllers. 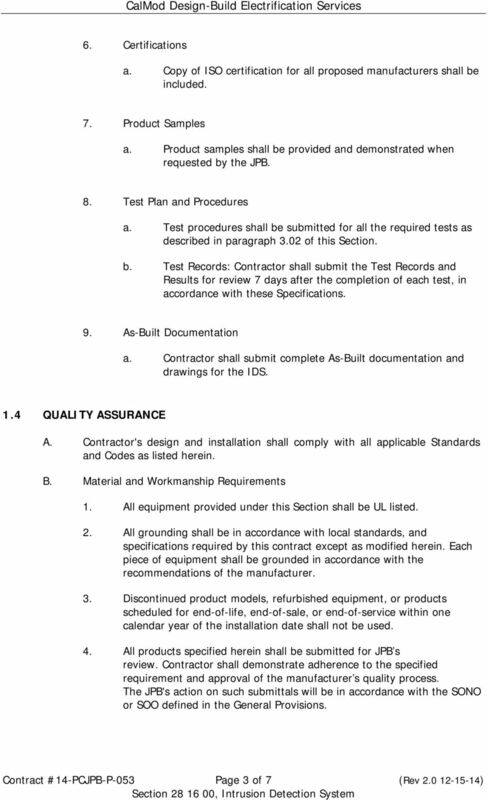 SECTION A. UL rd Edition (2009 Revision effective 9/29/2009). A. Fade Rate: The time it takes each zone to arrive at the next scene, dependent on the degree of change in lighting level. 2. Wiring Diagrams: Power, signal, and control wiring. 3. Field quality-control test reports. 4. Operation and maintenance data.